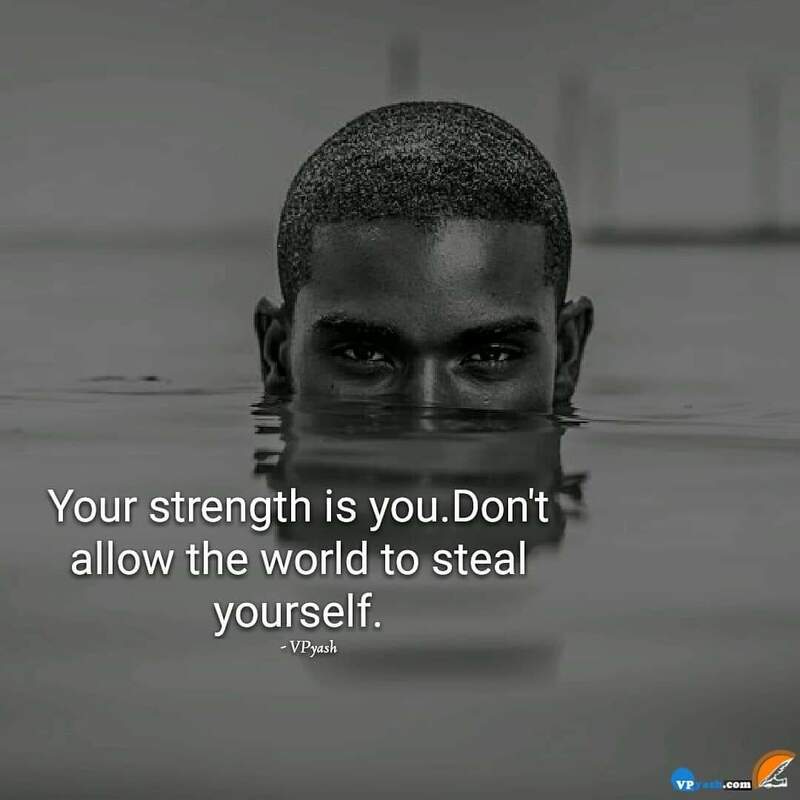 The strength you hold within yourself is because of you and you only. You should not allow anyone to steal your spark without your knowing. There may come the situations when people may use you for their profits or they may try to get you down to move forward but this should not make you a weak person. You are strong enough to deal with such people and situations. This strength will arise only if you believe yourself. You are your greatest weapon, believe it. Let no one change you in any condition. As situations may not be as per your wish but you can hold control of yourself and give your best in such situations.